Linné on line – The cell – a living microcosmos? Linné on line Physics and the Cosmos Physics and the Cosmos The cell – a living microcosmos? All living things are made out of cells, from the simplest single cell amoeba to large wales. 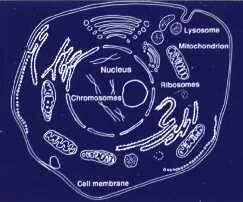 The cell consists of many different parts, with differing functions depending on which sort of cell it is. For example, there are cells with and without a nucleus. In cells with a nucleus this is where the genetic information is stored. 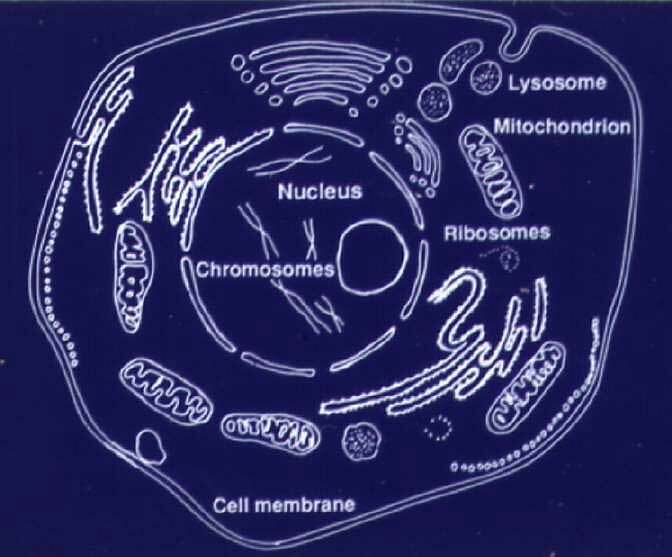 The genetic make-up of the cell is stored in the nucleus in the form of DNA. The DNA is a molecule which consists of two long chains of so called nucleotides which are twisted around each other in a double helix. The nucleotides consist of a phosphate part, a sugar part and a nitrogen base. There are four different nitrogen bases: adenine (A), guanine (G), cytosine (C) and thymine (T), which belong in pairs, so that A-T forms one pair and C-G the other. DNA has the unique property that it can copy itself. Since the base pairings are unique it is possible to reconstruct the DNA-helix from only one of the chains. 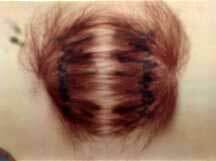 Thanks to this, the cell can divide and thereby multiply itself. The DNA is in control of the life of the cell. Among other things it controls the production of proteins which are vital to the functionality of the cell. In the last few years one has started to use a number of instruments in molecular biology which have initially been developed mainly for solid state physics. For example the scanning electron microscope and the synchrotron light technique. Today these methods play an important part in determining the structure of biomolecules. In the global Human Genome Project, HUGO, one has made a map of all the genes in the human DNA.